A few days ago I was kindly contacted by TeaMi Blends for an exciting collaboration. If you don’t know who they are, Teami Blends family is a company that provides you with the best combinations of tea plants for the most organic, effective, tasty tea. They have several programs you can choose from according to your needs and goals and you should expect nothing but natural, organic products that will in some way improve your everyday living. Personally, I have always heard of Detox programs and the wonders that they would do but I never seemed to believe and also my love-hate relationship with teas always kind of pushed me back. The only tea I drink is lemon tea , nothing else, and this was something that I mentioned to Georgina when we were swapping e-mails. Yet, Gerogina said the Teami Blend teas were delicious and I thought: Why don’t you stop being weird and give it a go? It is good for your health and it would be a nice experience. And so I did and this post is a cheers to a great, new start! With this post, I want to introduce you to TeaMi Blends and the program I chose. I still don’t know what it tastes like or if it works or not. This is an introduction to my Detox Journey. Bare in mind that there are many different teas you can choose from at TeaMi Blends. This was the one I picked for me and will be the one I will review in future. I have never been a women that loves fitness or diets. I believe that if you have a balanced diet without eating loads of rubbish but still eating bits and pieces that you love is a great way of living. Of course that practicing exercise is something that we should do and I admire who does it but I am just so lazy you wouldn’t believe. Anyways, my boyfriend and I have promised each other (kind of) that we would join the gym next month and I thought: what better start to this journey than the TeaMi Blends 30 Day Detox Program? If you want to know more in dept about this program, you should definitely check out their page where they tell you All You Need to Know About Detox Tea. I have never read something so self explanatory than that page there but to sum it up, the Detox Tea is basically a combination of differnt tea plants that will give you the best results in cleansing your metabolism and also loose weight. I chose this not only because I feel like I could loose a couple of Kg (not much) but also get rid off all the toxins in my body that come from all the junk food I eat – by the way, I will try not to each much of that, hardly any, while doing this program. 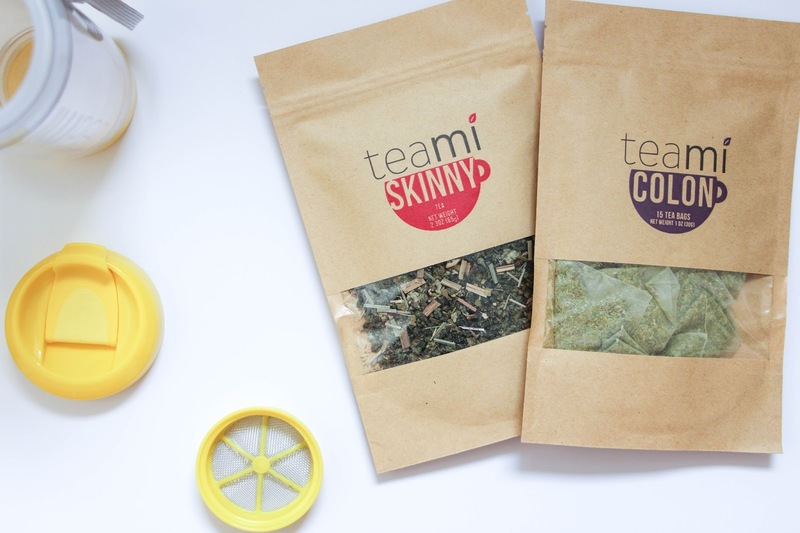 The 30 Day Detox Program is a combination of two teas: TeaMi Skinny Tea and TeaMi Colon Tea, each one with its goals and tasks. 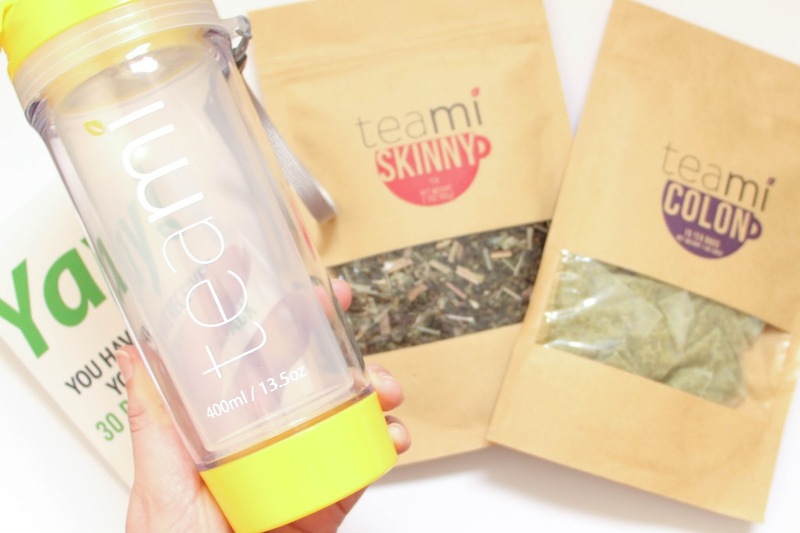 The TeaMi Skinny Tea is a combination of unique blend of natural ingredients to make your body feel good. It is the one to have in the morning at that will give you energy to go through a long day. Add a tea spoon of the loose leafs to a cup of hot water and let it steep for 2 to 5 minutes and it is ready to drink. Either hot or cold, whatever your prefer. Also, you can refill up to three times with the same loose leaves and I think that is so great! 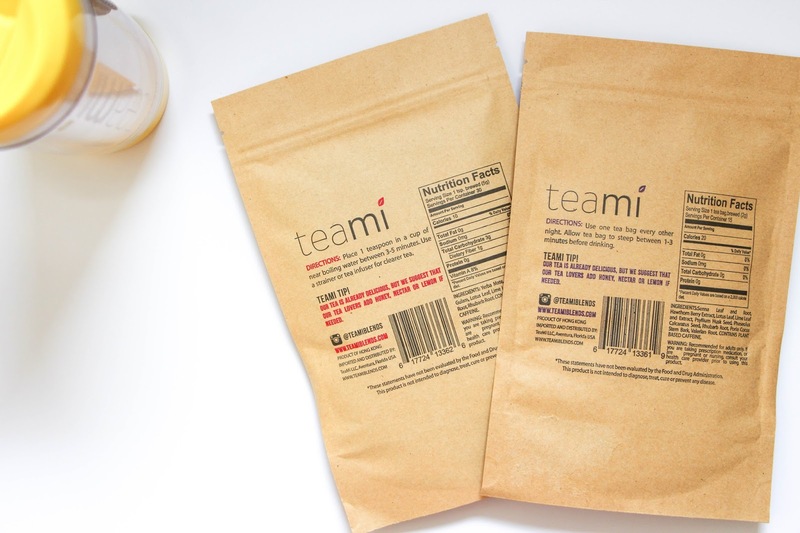 Now the TeaMi Colon Tea – the name really says it all. It will help you get rid of the toxins for a better nutrient absorption. This will cleanse your body from inside out, cleaning your organs (including digestive tract) of any toxins caused by many factors such as processed foods. Drink this every other day by dropping a tea bag into a cup of hot water and leave it for about 1-3 minutes. When reading the instructions, it states that it can give you cramps and to reduce them, simply leave the tea bag for a smaller period of time for a less intense effect. Lets hope that does not happen with me. Not knowing what it tastes like and really not being a fan of tea except lemon, I am planning on adding a squeeze of lemon juice, just as I like my lemon tea. I will let you know how it goes! 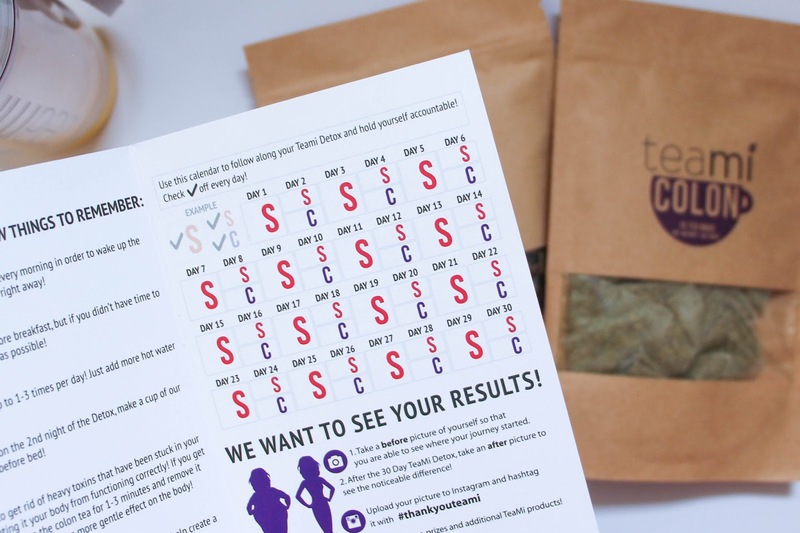 The 30 Day Detox Program also came with this leaflet with a cute calendar that you can tick as you go. I am planning on sliding this on my bullet journal so I can fill it everyday to keep track of things. I also did as I was told and took a photo of myself now (basically just my abdomen) to compare after 15 and 30 days – you should expect to see those photos on the next post. I honestly feel very positive about it and after many reviews I read and all the before and after photos that I have seen on their website, I am so excited to try this out. 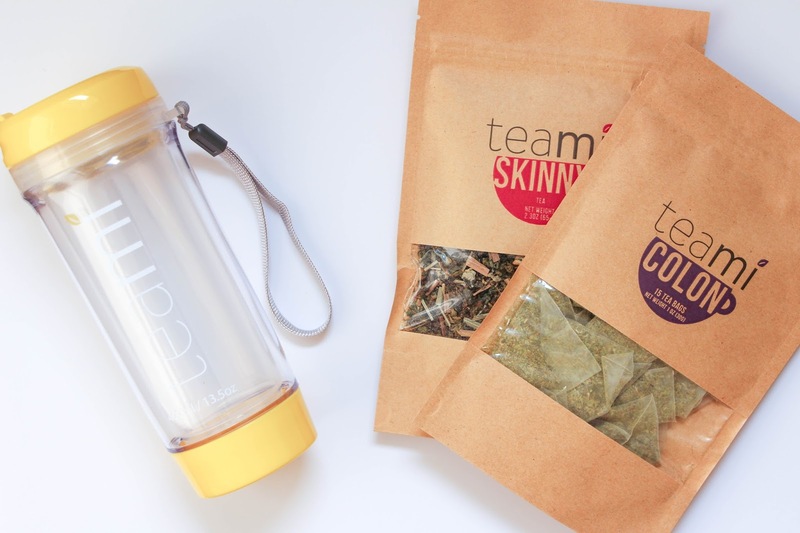 As you are reading this, I am probably about to have my first TeaMi Skinny Tea. If you want to follow me on this Detox Journey, don’t forget to follow me on all my social media. Also, I have a 10% Discount Code – LISAWORLD10 – that you can use at checkout on any of their teas and programs.